For the first time ever Superdrug has launched a number of money off voucher codes. These codes have been given to a number of publishers and can save you up to £15 on your order. All you need to do is fill up your basket and enter the applicable code at checkout. You have until 5th February to use the voucher codes. The offer is online only and the Superdrug homepage is here. You will of course earn points with your order. You earn 1 point per £1. You can use your points towards payment. 100 points are worth £1. You can redeem as many points as you like, but only in multiples of 100. 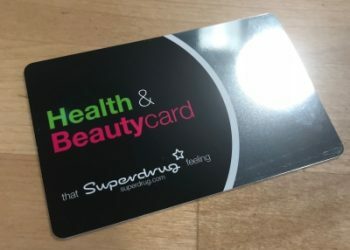 If you do want to join the Beauty & Healthclub, you can pick up an Advantage card in store and register it online here. Alternatively you can sign up online and get the card sent to your address.